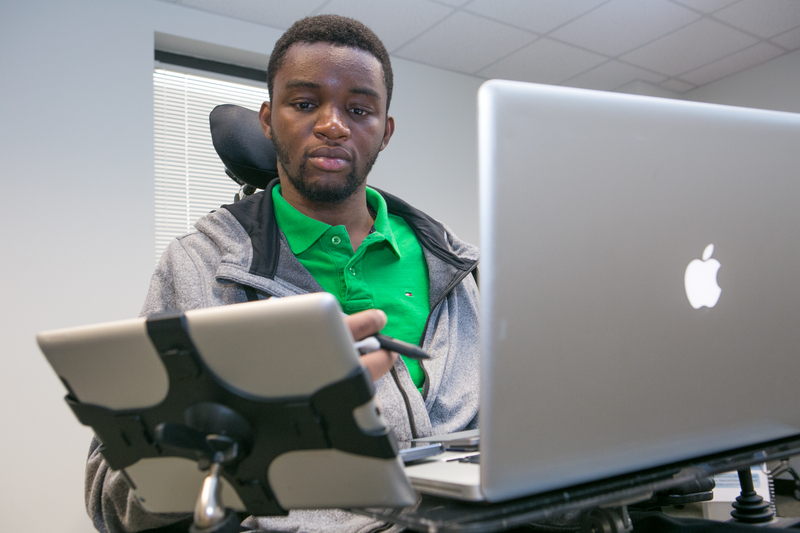 On March 23, 2014, Kenny Oramasionwu suffered a devastating spinal cord injury at his C4 and C5 vertebrae that resulted from a car accident in Savannah, Georgia. The outcome: Kenny became a quadriplegic with no use of his legs and limited use of his hands. He was moved to the Shepherd Center in Atlanta, a hospital specializing in spinal cord injuries. Kenny spent three months in-patient and one month in their Day Program rehabilitative therapy. Before the accident, Kenny was a student at the Savannah College of Art and Design pursuing a major in Interactive Media and Game Development. 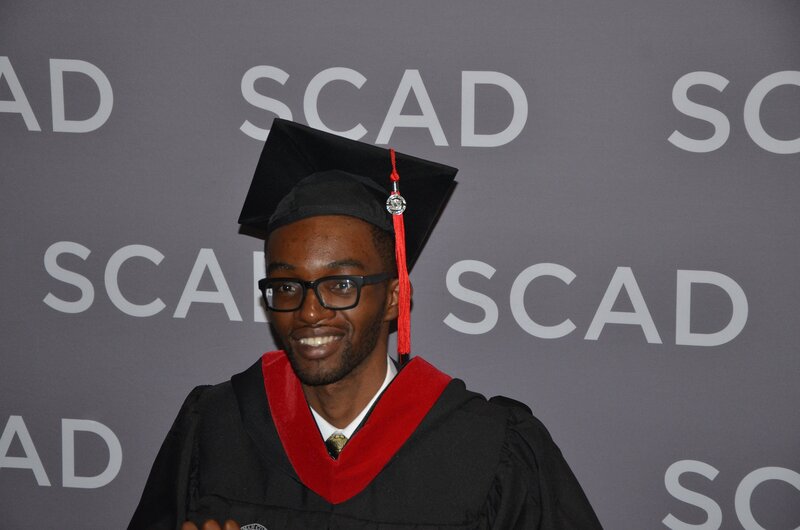 In spite of the accident, Kenny is determined to continue pursuing his passion and has transferred to the Atlanta campus of SCAD. With the help of adaptive technology and a special computer, he resumed school last fall! Although Kenny had insurance that covered his hospitalization, much of the ongoing care he needs is very expensive. He recently found an apartment close to school. Kenny needs live-in care-giving services 24/7, the cost of which runs up between $4000-$5000 a month. He will also enter an intensive therapy program that will strengthen his body, minimize secondary complications and help him regain some additional function in his arms and hands. That, too, is expensive; about $800 a week, as is a much needed specially modified vehicle that will enable Kenny to get to and from school. These vehicles start at about $40,000 upwards. None of these costs will be covered by insurance, which is why we need your help. To help with the financial burden of Kenny’s uninsured expenses, a fundraising campaign in his honor has been established with Help Hope Live, a trusted nonprofit organization that has been providing community-based fundraising guidance to patients and their families for more than 30 years. All donations are tax deductible to the full extent allowed by law, are held by Help Hope Live in the Southeast Catastrophic Injury Fund, and are administered by Help Hope Live for injury-related expenses only. Thank you for your support and prayers for Kenny. They are greatly appreciated. In the one year since his graduation Kenny has been doing some 3D modeling work for Foxtail Games. He also traveled back to Nigeria for the first time since his accident. He was able to purchase an E-fix semi-manual wheelchair, all thanks to your generous donations! This Fall 2018 Kenny is going back to SCAD Atlanta to pursue a Masters degree (MFA) in Animation. June 3, 2017, was Graduation Day!!! Kenny did it! Graduated Bachelor of Fine Arts (BFA) in Interactive Media and Game Design, from the Savannah College of Art and Design (SCAD), Atlanta! Thank you all for your continued support. All praise to God. Kenny will be graduating college in Spring 2017, by the special grace of God. Another school quarter done. Spring Break! Thank you for your donations, encouragement and prayers. We very much appreciate you. Kenny’s body and spirit continue to grow stronger. He is back in school for the Winter quarter. Please do remember to sign the guest book when you visit the site so Kenny can read the encouraging words from all his supporters. Kenny, one of my favorite Bible stories is in the Gospel of John Chapter 9, about the man who was blind from birth. Many things happen, many of them pleasant, others puzzle us, "but that the works of God should be revealed in" somebody. Kenny, the Lord saved your life that His works should be revealed in you. The song writer has it this way, "The bud may have a bitter taste. But sweet will be the flower". Stay in God's love, that counts more than anything else. Hi Kenny, our prayers remain with you and yours at this time. May the Lord lift the countenance of his face upon you and favour you in all your endeavours. Kenny, We are all pulling for you.Word has gone out to your extended family and friends of the family.Help is on the way! Our Lord that wrought miracles and saved you early on will finish what He started. Amen.